Asparagus is a perennial vegetable that can successfully thrive in a garden for decades if properly planted and maintained. 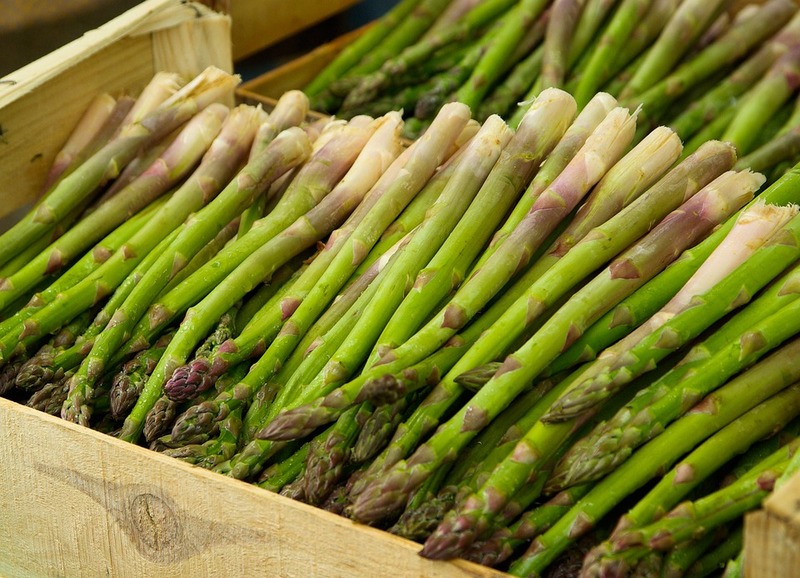 Asparagus is actually one of the very first springtime crops to yield harvest, so when properly planted and cared for; you can enjoy an abundant crop of spears for up to 30 years! A favorite in North American diets, perky green asparagus stalks can add a delicious bright crunch to daily meals, in addition to B and C vitamins, iron and plenty of calcium. Even though maintenance isn’t difficult, planting asparagus does have its delicate intricacies, which we’ll outline below so you can plan accordingly! First, you’ll want to get your hands on asparagus crowns. While growing asparagus from seeds is possible, it becomes more difficult because of their extreme delicacy and overall stubbornness to take root. Instead, opt for one-year-old crowns. This gives you a head start over seeds. Crowns are actually just dormant roots and are available at local garden centers and reputable nurseries in early spring. 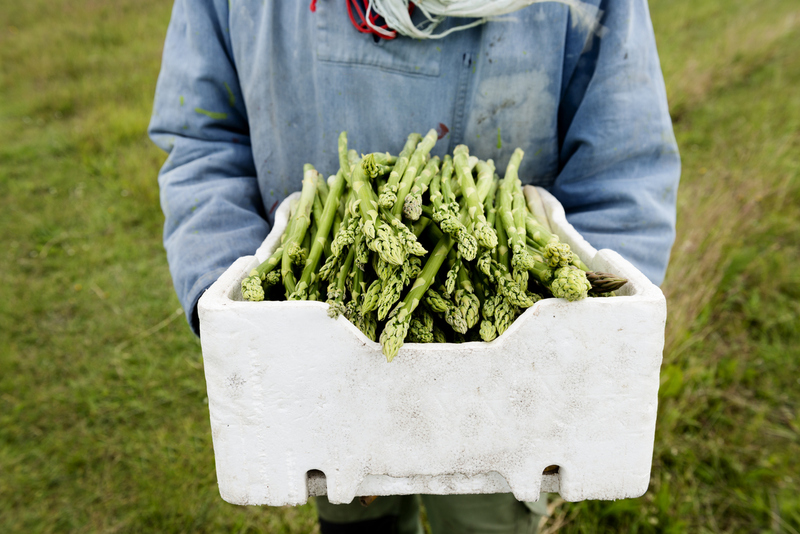 We recommend an all-male asparagus variety if your primary goal is to have a high yield. Since female plants produce seeds, much of their energy is expended there. Next, you’ll want to prepare your new asparagus bed. Whether you’re isolating asparagus on a raised bed or digging a trench in the ground, ensure the removal of any signs of weeds or potentially harmful grasses. Asparagus does not compete well with others for growing space and unfortunately, it won’t survive at the first sign of competition. To ensure long-term fertility, you’ll want to create non-acidic soil that is well drained and nutrient-rich. You can fortify the soil with compost, a vegetable fertilizer, rock phosphate or organic greensand. To plant the crowns, you’ll want to dig trenches approximately a foot wide and six inches deep. If you’re utilizing a sandier soil, dig down eight inches. Place the crowns two feet apart and cover them with an additional two to three inches of soil—approximately two rows of asparagus crowns will nicely fit into a 4-foot wide bed. You want to space your crowns to produce larger spears. Water them deeply right after covering them. You’ll want to keep your asparagus bed moist through its first growing season. To ensure moisture conservation, you can spread a light layer of mulch over top. As your asparagus grows, you’ll want to fill furrows with soil. Overall, maintain wet soil for the first eight inches. Be gentle since you want your asparagus to develop a strong root system. You won’t want to harvest the asparagus the following year after planting. Instead, allow them to grow into a small bush. If it’s brown, you’ll want to remove the old stalks and any new signs of weeds. Periodically check the pH level of the soil with a soil test kit and squeeze some lime to maintain proper levels. You’ll also want to water biweekly through any dry weather. If you see spears larger than four inches, you’ll want to harvest them. Utilize a knife and while holding the spear in one, cut it off about one inch below the soil line. Avoid deep cuts because you’ll end up damaging the crown. Follow a two, four and 6-week harvest sequence. You’ll want to harvest stalks every two weeks in the second year, four weeks the third growing season, and finally six weeks after the fourth growing season. Every fall season that follows, remember to remove any brown brush. Asparagus needs a whole lot of love to get started, but the annual rewards make it worthwhile! Have you had any luck growing asparagus? Leave any additional helpful tips below!